Pass the pills to Rep. King? Then there’s this, from U.S. Rep. Peter King, R-N.Y., about the prospect of U.S. Sen. Ted Cruz becoming the Republican Party’s presidential nominee. King said he might “take cyanide” if Cruz gets nominated. Holy moly, Congressman. Don’t sugar-coat your feelings. “I hate Ted Cruz,” King said. It must be Cruz’s “New York values” comment that got New Yorkers all riled up. Perhaps it’s the idea that a Texan could lead the party’s election ticket this fall. I’m pretty sure, though, Cruz’s values statement really got under King’s skin. 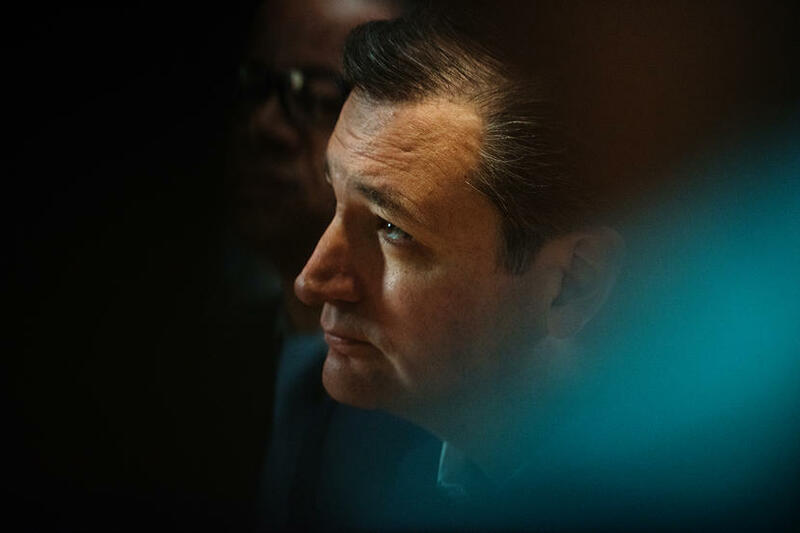 He said any New Yorker who votes for Cruz should “have their head examined.” That’s a clue, yes? But then King said some more curious things. He believes Donald J. Trump will be the GOP nominee, but he’s not “endorsing” his fellow New Yorker. Then King said he voted for Ohio Gov. John Kasich in early voting, but he isn’t endorsing Kasich, either. A vote isn’t an endorsement? C’mon, Rep. King. Shoot straight with the rest of us. OK? He said that Kasich would make a “good vice president” running with Trump at the top of the ticket. King needs to go back just a few days. That was when Kasich said, in effect, that hell would have to freeze over for him to run on a ticket led by Trump. Well, that’s what Kasich said. Politics, though, does have this way of changing politicians’ minds. I’m sure, therefore, that Rep. King won’t be popping any poison pills if the Republican Party launches the Cruz Missile at the Democrats this fall. That’s the only word I can think of to describe what’s happened today in the U.S. House of Representatives. A majority of the House rejected a plan to keep the Department of Homeland Security functioning for the next three weeks. The Senate had approved a bill to fund the agency until September. Senators had agreed to strip out provisions aimed at stopping President Obama’s executive order on illegal immigrations, which House and Senate TEA party members detest passionately. So House, given a chance to keep DHS operating — and protecting our borders against the bad guys — went along with what Rep. Peter King, R-N.Y., called the “delusional wing” of the GOP. It stopped the funding measure. This is no way to run a government. It’s no way to take the reins of power, which Republicans did when they took command of the Senate in January. The GOP now controls both legislative chambers and this is the result they’ve produced on the first big showdown of the new congressional session. House Speaker John Boehner has lost control of the body he’s supposed to lead. The House of Representatives, early in this new era, has disgraced itself. 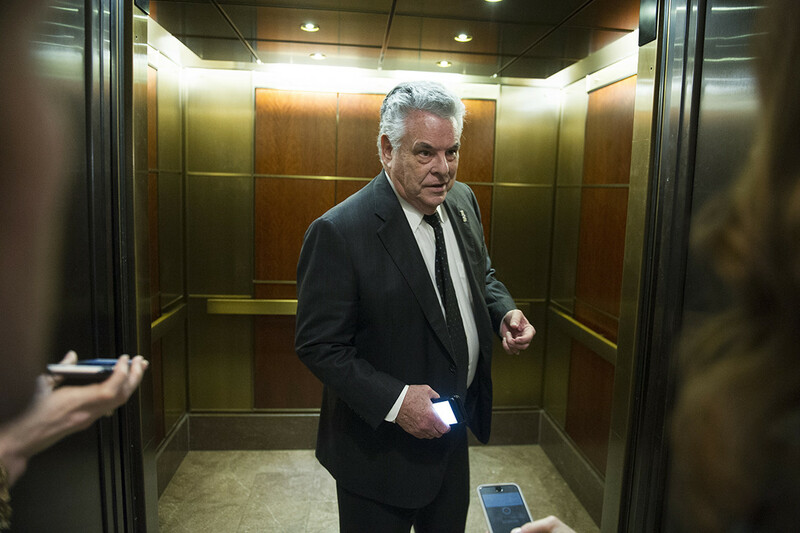 Congressman Peter King is prone to performing rhetorical stunts on occasion. He pops off when he would do better to remain quiet. The New York Republican did it again this week when he suggested President Obama should invite Ferguson, Mo., Police Officer Darren Wilson to the White House to receive, in effect, a public apology from President Obama for the “slander and smear” he has endured in the media for the past four months. Here’s a better idea. Why not just let Darren Wilson go back to doing his job, if that’s possible now that he’s become an international celebrity/pariah? Wilson was no-billed by that grand jury in the August shooting death of Michael Brown. Wilson is white, Brown was black. The shooting touched off riots in Ferguson. Then came the grand jury decision, which set off some more riots, not just in Ferguson but in other communities across the country. The president does not need to engage in a publicity stunt here. He has spoken his piece about the decision. He urged calm and restraint in its aftermath; his plea fell on deaf ears. Now comes Rep. King to insert himself into this story by suggesting something patently ludicrous on its face. Let’s have a national discussion about the nature of police-community relations, particularly among the African-American community. But we can have it without some kind of grandstand play by the president of the United States. His plate is quite full already, Rep. King. Thornberry to hit talk-show circuit? I cannot help but wonder about the exposure U.S. Rep. Mac Thornberry of little ol’ Clarendon, Texas is going to get now that he’s positioned to become the next chairman of the House Armed Services Committee. This is a major committee assignment. It involves funding for our troops, the men and women who defend us against bad guys. It involves deciding which weapons to finance and what levels of related financial support Americans will pay. Thornberry is going to lead a critically important committee when the next Congress convenes — assuming, of course, he’s re-elected this fall. He’ll win re-election. Bet on it. For almost all of Thornberry’s nearly two decades in Congress, he’s been a proverbial “back bencher.” He doesn’t make much news. He doesn’t hog the spotlight the way, say, John McCain, Lindsey Graham, Peter King and Chuck Schumer do. That might change now that Thornberry prepares to take the gavel from retiring Chairman Buck McKeon. Those Sunday news talk show hosts are going to want to know the particulars of what the Armed Services Committee is planning for the next Congress. The military has been in the news, as President Obama has announced plans to end our combat role in Afghanistan. There’ll be plenty of discussion of redeploying our military assets. There’ll be talk about a probable reduced military footprint abroad. These topics will be right in the wheelhouse of the Armed Services Committee chairman. That means you, Rep. Thornberry. The veteran Republican lawmaker has been sitting on the back bench long enough. It’s time to step up, tell us what you think and where you intend to lead this critical congressional panel.